This “Black Meteorite” timepiece is a special edition that commemorates the 75th Anniversary of the Sturgis Motorcycle Rally. The case and bracelet are crafted in stainless steel plated in ebony black I.P. plating. This unique dial is specially designed using our award winning state of the art 4D medallion process combined with hand set brilliant white diamonds. 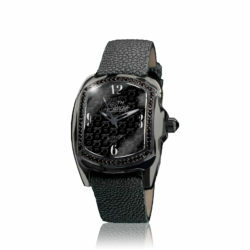 The Black Meteorite boasts a precision automatic movement with a screw down crown, and makes for a great collectible. 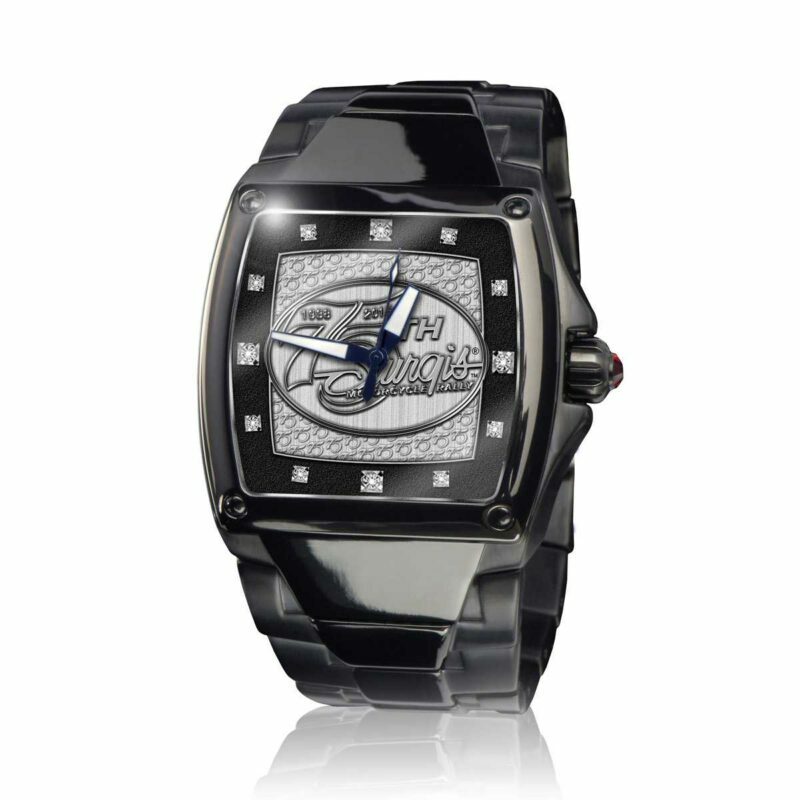 Stainless Steel Case and bracelet in black I.P.